As of today until the end of June, you can scoop up free TomTom satnav software if you buy a Palm Treo smartphone. 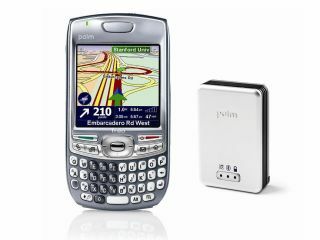 Palm Europe today announced it would be throwing in a free TomTom Navigator 6 GPS package for everyone who buys a Palm Treo 680, 750, or 750v smartphone before 30 June 2007. If you buy any of these Treo models you'll get a free plug-and-go expansion card with TomTom Navigator 6 for the UK, which you just have to insert into the Treo smartphone. A Bluetooth GPS receiver, cradle, and power adapter is also included in the package, which is worth £155. The TomTom software is able to navigate to addresses in your address book, and instructions can be either spoken or visual. The included 2D and 3D maps display details of hundreds of reference points, including petrol stations, restaurants, parks, airports and several other UK points of interest. In other TomTom related news, the company today announced that it has sold its 10 millionth satnav device. "Selling 10 million products is an important milestone in TomTom's history, but it is only the start of the story. As more and more drivers across Europe demand high quality, innovative and easy to use navigation solutions, we expect to see this growth continue," said Harold Goddijn, TomTom's chief executive officer. Sales of GPS devices are expected to exceed 20 million units this year.